It's the mother of all water cooler conversations. Nathan Boos got his love for 18-wheelers from some place, but he didn’t know where until he was 23. Boos was hauling a load of soybean meal from Illinois to Georgia when he found out. 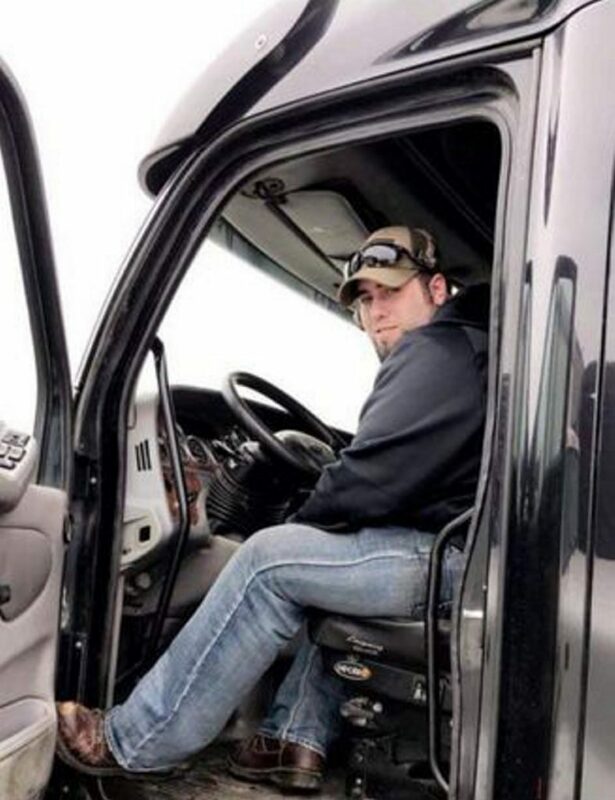 His adoptive father decided to join him on the cross-country delivery for fun, and one night he told Boos that it made sense that he grew up to become a truck driver: His birth father was a truck driver, too. 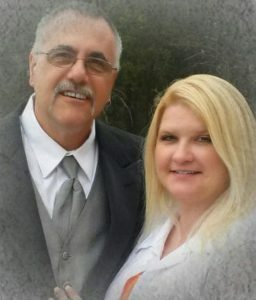 Robert Degaro with his fiancee. The discovery was almost eerie for Boos, who had never been too curious about the lives of his biological parents, he told The Washington Post. He stopped wanting to know about them by the time he was in junior high, when the feeling that he didn’t fit into his own family subsided. He was content not even knowing their names. And the night he found out that he and his biological father shared a career in common, that didn’t change. But a few years later, he would figure it out anyway – by accident. In July 2016, he started working at Rock Solid Transport in Chippewa Falls, Wisconsin, where he met Robert Degaro. Degaro, who started at the company in November 2015, was a tattooed, mustachioed 55-year-old with a pierced ear and, like Boos, an affinity for cracking jokes at their co-workers’ expense. That was how the two became friends. Their jokes spilled over onto Facebook – where soon enough Boos’ mother started to notice. The name Robert Degaro was familiar to her. She hesitated to believe that the man who kept popping up on her son’s Facebook page was the same man who was his biological father. But in January, she called her son over to sit down next to her, Boos said, and she pulled up Degaro’s picture on Facebook. Boos almost fell off the couch. His mom almost fell off the couch, too. Boos let it sink in for a day before searching Facebook the next evening for the least jarring words to reveal to his pal Bob that he might be his biological father. “Hey, Bob,” he started, according to the original Facebook messages, which were provided to The Washington Post. Boos threw out Degaro’s ex-wife’s name, asking if Degaro knew her. The two friends got off Facebook and got on the phone, exchanging awkward laughs and occasional moments of silence. For the first time, Boos learned the full story of his adoption. Degaro’s life in nearby Eau Claire, Wisconsin, was rocky back then, he told The Post. Money was tight and his marriage was crumbling. The doctors told the couple that their baby would be premature and would require an emergency C-section, Degaro recalled. And it all just seemed overwhelming. Degaro wasn’t ready to be a father, he said, let alone to a baby who may need special medical attention. His then-wife suggested adoption, and he agreed. He signed his rights away, his wife made the adoption arrangements and – at least for 27 years – he never saw the child. Boos is getting married in May. Degaro, who is also engaged, already had been invited to the wedding, as were all their co-workers at Rock Solid Transport. But now Degaro, Boos said, will find a seat at the table reserved for family.